The world of marketing has changed. Search engine advertising dominates digital marketing budgets, social media marketing is now the preferred method of reaching your target market, and content is king. Social media and content marketing are both examples of how modern internet advertising is now accessible to everyone, used worldwide to promote products and businesses from every industry on the planet. However, they are best used in tandem, each augmenting the strengths of the other, and are brilliantly effective when used properly. The term “social media content marketing” could be used to describe this harmonious relationship, which is found in every corner of the digital community. Social media is the central hub of digital community and online communication. Social media marketing is one of the most used advertising channels in the digital marketing world. While organic reach has plummeted in recent years, paid social advertising is up across the board. Facebook, Twitter, Instagram, and even LinkedIn are replete with paid ads and various marketing options to promote your goods and services. Content marketing involves creating written, visual, or mixed media content to educate, notify, and provide value to online users within a defined target audience. When a marketer refers to “content” in this manner, it’s often in the form of blog posts or news articles published on their website. However, the future lies in creating audiovisual appeal that does well on mobile devices as well as traditional computer systems. 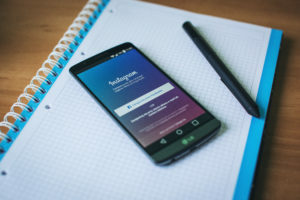 Social media and content marketing are certainly distinct promotional strategies in the digital space, but they can be used in harmony for prolific results. Original content, often written as a native blog, is given a voice on social media. Writing informative blog posts that provide insight, advice, or professional expertise provides substance and value to a customer’s online experience. Social media is the digital arena where most of these potential customers spend their time online. It thus makes perfect sense that content should be promoted on social media, delivering the inherent value to the user where they are engaged and active online. In the field of paid social media marketing, selling is involved with subtlety. A great social ad will not look like an advertisement at all, reaching users with a warm invitation to explore the content you’ve produced. Once the customer is experiencing the content on your native website, direct sales is not the preferred message either. Instead, great content marketing involves educating, delivering information, and providing insight about a topic of interest for that audience. With the use of popular social channels, published content maximizes outreach by creating a direct line of communication with specific users and potential customers. Social networking is based on building virtual communities, and these built-in audiences help you provide the content to those who are most likely to going to enjoy it. Social Media channels also allow consumers to interact directly with organization or company where they can express their needs, wants and values. “Social media content marketing” is a term we love to use here at Emergent Digital, because it concisely and precisely describes the ideal online advertising strategy for the modern age. The link between social media and content marketing is obvious to anyone who understands a sales funnel. Content marketing aims at attracting and retaining customers by consistently creating valuable and relevant media with the purpose of influencing consumer understanding via education and communication. Awareness about a brand or product is increased further with a positive presence on social media, establishing a continual process with benefits to all involved. Now that you understand the goal of blending social media and content marketing for online outreach, you need to learn how to achieve that goal. Learning how to plan an effective marketing strategy is no quick task, but there are specific terms and tactics that can help you learn the ropes. Target market: The internet is wide and vast, especially in the world of social media. When creating a digital marketing campaign for social media content the first thing to consider is your audience. To whom are you distributing your content? Who gets the most value from your content? This is where you define who your audiences are and for you to achieve this, you need to understand what their needs and desires are first. Content Type: After you have successfully defined your target market and ideal social audience, then you decide what type of content and the channel to use for your content creation. It could be a native blog, a digital video hosting space, website surveys, downloadable whitepapers, or all of the above! Content Creation and Distribution: After deciding on what content type you need to use, the next step is to create content of value. This can be done on your own site or posting on 3rd party blogs, but the goal is distribution on social media. Brand voice: After creating your content, you really want to decide what type of voice or tone you want to use in presenting your content on social media. This brand voice should be authentic, natural, and speak to your audience in a way that appeals to their character traits. Your voice could be professional, formal, or fun and lighthearted, but this all depends on the channel and audience. Social Media Management: There are many apps you can use to make social media marketing easier and more effective in implementation. Hootsuite is a platform for managing social media marketing activities like posting updates, responding to followers, and monitoring progress through given metric. Hootsuite has a wide range of features that supports social media activity on a wide variety of channels and includes and excellent analytics tool. Buffer is a wonderful tool for content publishing and scheduling posts for distribution in the future. Many digital marketers use buffer as a supplement or replacement for a hosted social media content calendar, and the mobile interface is easy to understand and use for beginners. Before marketing your content through any social media channel, you need to understand your reason for being there, the type of content you want to post, how the reader will react to the delivered message, and how you can measure your results. There are many things to consider when developing a social media content marketing strategy, but we can help you get started if you need help in drafting a comprehensive plan of attack. Your primary goal in using social media content marketing should be presenting information and providing value to whomever is engaged with your brand online. Understanding who your audience is and how they use social media will help you create a successful content marketing plan that can attract the attention of potential customers. In social media and content marketing, you might experience some big challenges at first. One of the biggest challenge is time management. it can be difficult to stay focused and organized when managing many networks, and even harder to track and measure quantifiable results. However, creating content strategy and social media plan with defined goals and delineated tasks can help you stay on track. Don’t get overwhelmed, don’t spread yourself too thin by trying to post on every social network, and most of all, don’t forget that your primary duty is giving something of great value to your audience within the digital community. Have any questions or want to learn more? Feel free to Contact us at anytime!